SEFTECH through its associates has long been associated with country’s various Power Projects. We have designed, engineered and executed, on turnkey basis, many auxiliary system packages for Power Projects, namely Fuel Oil Handling Systems, Low and High Pressure Piping, Gas Handling System, Water Systems, Fire Fighting Air and Exhaust System, Effluent Treatment etc. Some of leading clients are BHEL, TVNL, BSES, IFFCO, CESC, KEB, KSEB, USHER, ALSTOM, ANDRITZ, VOITH, FLOVEL etc. The capacity of unit upto 350 MW is executed by Seftech and its associates. We can meet customer fabricated equipment requirement on a single-source basis for various Hydro Power Projects. The product profile includes Turbine Housing, Spiral Casing, Draft Tube, Distributer Assembly, Pit Liner, Extension Pipe etc. Having manufactured and supplied key Power Project components to several reputed clients in the country, fabricated equipments supplied by Seftech’s associates can be seen in many project manufacturing unit locations such as Teesta Urja Sikkim, Karcham Wantoo HP, Varahi Karnataka, Baglihar T&K, Tehri Uttrakhand etc. Fuel oil handling and storage system for 500mw power plant of NTPC at farakka. 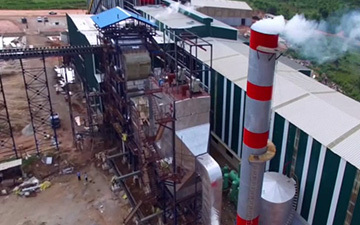 Cogeneration plant for 1250 TCD sugar plant in ghana. Offsites and utilities for 6 x 20mw diesel power plant of M/s alsthom export for karnataka electricity board at yelahnka. Offsites and utilities for 5 x 20mw diesel power plant of M/s central diesel export for kerala electricity board at brahmapuram. Part of offsites and utilities for nuclear power plant of M/s rajasthan atomic power projects unit 3 & 4 (2x200mw) at rawatbhata, kota. Fuel oil handling and storage system for 2 x 67.5mw power plant of calcutta electric supply corporation, calcutta. Packages of 26mw bio-mass plant based on rice husk of a usher & agro. Auxiliary cooling water system for bombay suburban electric supply co. Ltd. For 2 x 250mw power plant at dahanu. Design, engineering, supply of fabricated stainless steel vessels and equipements for 235mw atomic power plant at kalpakam (TN).